From the pediatrician whose advice has shaped parenting practices for more than half a century comes the essential parenting book - fully revised and updated with the latest research and written in clear, accessible prose for parents of all backgrounds. Generations of parents have relied on the influential bestseller Dr. Spock’s Baby and Child Care as the most authoritative and reliable guide for child care. 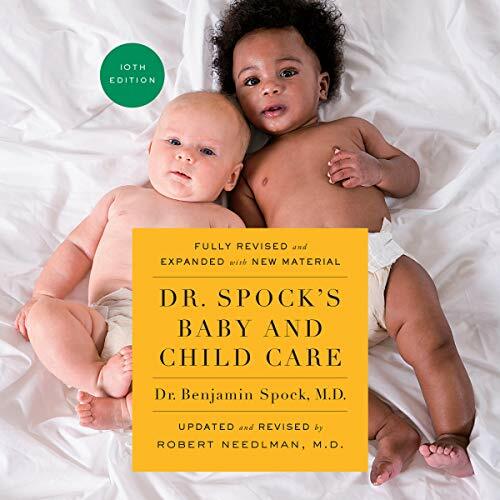 This timeless yet up-to-date edition has been revised and expanded by Dr. Robert Needlman, a top-notch pediatrician who shares Dr. Spock’s philosophy and has applied his research in his career. In this tenth edition, you can gain the latest information on child development from birth through adolescence - including cutting-edge research on topics as crucial as immunizations, screen-time, childhood obesity, environmental health, and more. With a revised glossary of the newest and most common medications and a guide to reliable online resources, this vital handbook will help you become the best parent you can be. ©2018 Spock Family Trust and Mary Morgan Trust. (P)2018 Brilliance Publishing, Inc., all rights reserved. just that one thousand times with babbling between. it's common sense, if you care enough to listen then you know this stuff already.